Add me to the long list of happy customer! I just got my dress in the specified rush time 3 weeks. I was skeptical just like everyone else, but I wasn't going to spend hundreds of dollars on a dress. So I gave it a shot and I'm sure glad I did! My dress is fantastic and every bit as gorgeous. My friends would all be so jealous if they knew what a great deal I got. I will recommend you highly to all my friends in the future. I can only say thank you ! it was my first time at online shopping and a very important one because its a prom dress! and i totally loved it! i'm amazed by the quality and the perfection on every detail. the customer service was very fast as well and it actually arrived before the estimated date. i highly recommend this site to every woman who wants to wear something beautiful at an affordable price. thanks!!! I bought this dress to wear as my prom dress. I love it! The color was exactly what I hoped. I got custom measurements, and it was totally worth it. OMG not only did we receive this 25 days after ordering. It was ABSOLUTELY BEAUTIFUL!!!! I am a seamstress so I know what I am talking about....It was FABULOUSLY constructed!! Princess seams and TOP quality material. We are so excited for this purchase. My daughter put it on and said, ;I feel like a princess. I have never ordered from you before... but I will not hesitate next time. 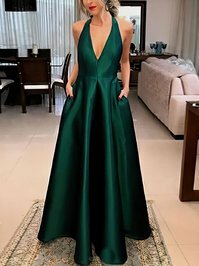 I ordered this dress to wear to my daughters prom. It is absolutely stunning and fits me perfectly. I am petite so I ordered a custom size. I was amazed when the dress showed up less than 3 weeks later. It is well made and seams are nicely finished. I loved it so much that I am ordering the dress from you too. I would definitely order again from you!